Artist Quality - 12pc - oil PASTELS, When used in conjunction with other media, offer many interesting possibilities for creative activity. Apply directly to paper and then blend by rubbing with a finger or paper stump. 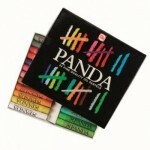 Pastels are ideal for exercises designed to develop colour awareness in child.. 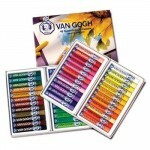 Artist Quality - 24pc - OIL PASTELS, When used in conjunction with other media, offer many interesting possibilities for creative activity. Apply directly to paper and then blend by rubbing with a finger or paper stump. Pastels are ideal for exercises designed to develop colour awareness in ..
Assorted - 15pc - PASTELS, When used in conjunction with other media, offer many interesting possibilities for creative activity. Apply directly to paper and then blend by rubbing with a finger, paper stump or a stiff brush. 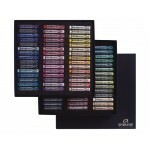 Pastels are ideal for exercises designed to develop colour awareness in ..
Assorted - 30pc - PASTELS, When used in conjunction with other media, offer many interesting possibilities for creative activity. Apply directly to paper and then blend by rubbing with a finger, paper stump or a stiff brush. 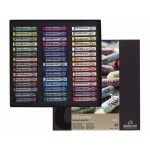 Pastels are ideal for exercises designed to develop colour awareness in ..
Assorted - 45pc - PASTELS, When used in conjunction with other media, offer many interesting possibilities for creative activity. Apply directly to paper and then blend by rubbing with a finger, paper stump or a stiff brush. Pastels are ideal for exercises designed to develop colour awareness in ..
Landscape - 30pc - PASTELS, When used in conjunction with other media, offer many interesting possibilities for creative activity. Apply directly to paper and then blend by rubbing with a finger, paper stump or a stiff brush. Pastels are ideal for exercises designed to develop colour awareness in..
Landscape - 90pc - PASTELS, When used in conjunction with other media, offer many interesting possibilities for creative activity. Apply directly to paper and then blend by rubbing with a finger, paper stump or a stiff brush. 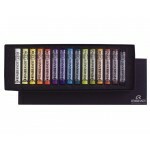 Pastels are ideal for exercises designed to develop colour awareness in.. Portrait - 30pc - PASTELS, When used in conjunction with other media, offer many interesting possibilities for creative activity. Apply directly to paper and then blend by rubbing with a finger, paper stump or a stiff brush. 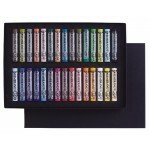 Pastels are ideal for exercises designed to develop colour awarenes.. Portrait - 90pc - PASTELS, When used in conjunction with other media, offer many interesting possibilities for creative activity. Apply directly to paper and then blend by rubbing with a finger, paper stump or a stiff brush. 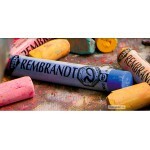 Pastels are ideal for exercises designed to develop colour awareness in ..
Rembrandt Pastels. 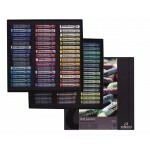 For an explanation of the Colour Codes, See the full Colour Chart here The ultimate and exclusive choice for professional artists. A legendary name for a range that is known for its superior and unparalleled quality. It has been developed through pure skill and artistic insight,..
Talens Art Cement Tube 55mlRubber cement• A special adhesive for temporary mounting, developed for graphic artists, designers and draftsmen• Fast-drying, completely transparent and acid-free• Waterproof once dry• Any remnants of glue can be rubbed off with fingers • Not suitable for permanent m..
Artisit - 60pc - OIL PASTELS, When used in conjunction with other media, offer many interesting possibilities for creative activity. Apply directly to paper and then blend by rubbing with a finger or paper stump. Pastels are ideal for exercises designed to develop colour awareness in children. Dr..